Renowned for his charismatic stage presence and gravelly voice as much as his trumpet playing, few people have influenced the evolution of popular music more than Louis Armstrong. Louis Armstrong played Colston Hall over 50 years ago, and in 2015 his music will make a long-awaited return to the venue. For this unmissable show, The Louis Armstrong Museum has given us exclusive access to some of Satchmo’s original big band compositions which haven’t been played since 1947. Renowned for his charismatic stage presence and voice almost as much as for his trumpet-playing, Armstrong’s influence extends well beyond jazz music, and by the end of his career in the 1960s, he was widely regarded as a profound influence on popular music in general. Armstrong was one of the first truly popular African-American entertainers to “cross over”, whose skin color was secondary to his music in an America that was severely racially divided. He rarely publicly politicized his race, often to the dismay of fellow African-Americans, but took a well-publicized stand for desegregation during the Little Rock Crisis. His artistry and personality allowed him socially acceptable access to the upper echelons of American society that were highly restricted for a black man. Boutté started as a session singer and actress working with the Neville Brothers, Dr John, Patti Labelle and Allen Toussaint before joining the cast of vaudeville musical One Mo’ Time for a world tour in the late 70s and early 80s. She inherited the mantle of New Orleans’ Official Music Ambassador from Louis Armstrong. Settling in Germany, she has tirelessly spread the word for New Orleans jazz and, in the wake of Hurricane Katrina, performed countless benefit concerts raising over €100,000 to help musicians replace instruments they’d lost in the disaster. Clarke Peters is probably most recognisable internationally for his role as Lester Freomon in The Wire, and various appearances in other big American TV series, but his passion has always been for writing for, and performing on, the stage. Originally from New York, he began his career as a street busker in France before getting his first professional job in a French theatre production of Hair. In the 1970’s, Peters moved to London and formed a soul band called The Majestics, singing on such classics as Joan Armatrading’s Love and Affection and Heatwave’s Boogie Nights, and he also wrote two musical theatre productions including Five Guys Names Moe which ran for over four years in the West End. Other West End credits include Blues in the Night, Porgy and Bess, The Witches of Eastwick, Chicago, and Chess. Virtuoso clarinettist Evan Christopher strives to extend the legacies of early Creole clarinetists such as Sidney Bechet, Omer Simeon, and Barney Bigard ‘with his unique brand of “contemporary, early jazz”. After beginning his clarinet studies at the age of 11, he received the Louis Armstrong National Jazz Award, graduated from the prestigious Idyllwild Arts Academy, and California State University, Long Beach. Christopher joined the New Orleans music community in 1994, gigging with musicians such as Al Hirt and veterans of Preservation Hall to funk and brass bands including the Nightcrawlers and Galactic. In 1996 he left for San Antonio, Texas to appear nightly for nearly three years with the Jim Cullum Jazz Band. When he returned to New Orleans in 2001, his published research on the New Orleans clarinet style initiated pursuit of a Master’s degree in Musicology at Tulane University. He began touring internationally and producing his ‘Clarinet Road’ series of CDs. In August 2005 Christopher left again, this time to Paris at the invitation of the French Embassy’s Cultural Services division, where he formed his group, Django à la Créole. As a composer, Evan Christopher’s original songs feature on acclaimed recordings including the Grammy-winning New Orleans Jazz Orchestra’s Book One (2012). In July 2010, he debuted his Treat It Gentle Suite with the Minnesota Orchestra, which was the first concerto written for clarinet and jazz band in the New Orleans style. Evan Christopher frequently appears as a guest with forward-looking groups, such as the New Orleans Jazz Orchestra and the jazz composer guild, NOLA ArtHouse Music. He is also featured on New Orleans-based artists’ recordings in various genres as a featured soloist. Known for his virtuosic banjo skills, Don Vappie is also stellar bassist, guitarist and vocalist, committed to what he calls the “creole jazz” of New Orleans. He leads the Creole Jazz Serenaders, a classic New Orleans jazz orchestra, as well as his various jazz and R&B combos. Over the course of his long career he has performed with Peggy Lee, Wynton Marsalis, Otis Taylor, Eric Clapton, Bette Midler, Diana Krall and many, many more. He’s performed at countless festivals and venues around the world, and produced and recorded numerous CDs and film sound tracks. As an educator, he has participated, presented and/or performed for programs at Jazz at Lincoln Center, Carnegie Hall, Tulane University, Historic New Orleans Collection, NPR, Smithsonian, Appalachian State University and many more. He currently serves as jazz guitar instructor at Loyola University and is a member of the Loyola Jazz Faculty Combo. He is also an instructor at the Don “Moose” Jamison Heritage School of Music sponsored by the New Orleans Jazz and Heritage Foundation. 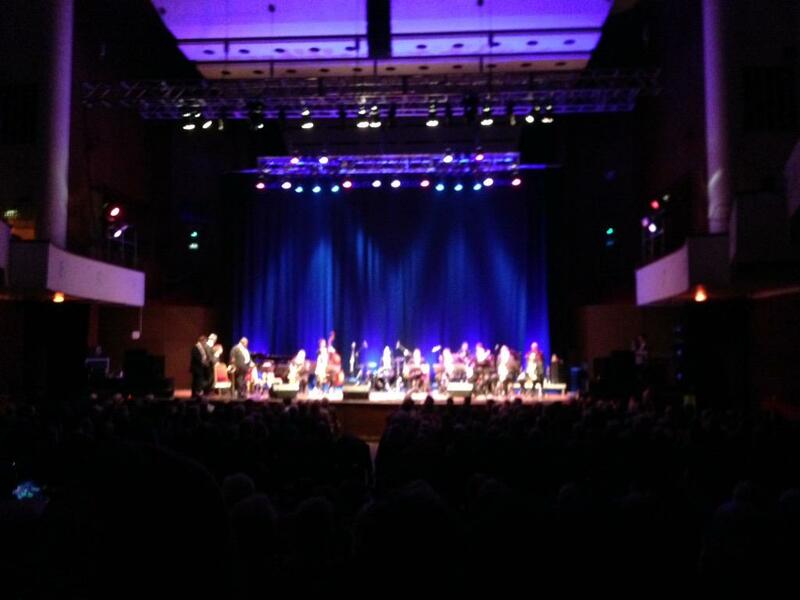 RT @newscav: And did you SEE Louis Armstrong @Colston_Hall . He played there 50 years ago? Wow ! @bbcrb @bbcsomerset Get in touch !